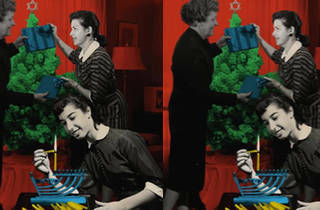 For anyone who's coveted the Christmas tree from afar, the Idelsohn Society for Musical Preservation will sign and discuss ‘Twas The Night Before Hanukkah: The Musical Battle Between Christmas and the Festival of Lights, its new 2-CD and digital release exploring the evolving musical role of both Hanukkah and Christmas music in the 20th Century. The Idelsohn Society, a nonprofit dedicated to Jewish history and music was co-founded by Josh Kun, writer, curator and professor at the USC Annenberg School for Communication & Journalism, and Resident Collector at the Santa Monica Museum of Art. Members of the society will speak about their newest publication and share some of the most iconic holiday tunes, including Christmas jingles and Hanukkah songs. 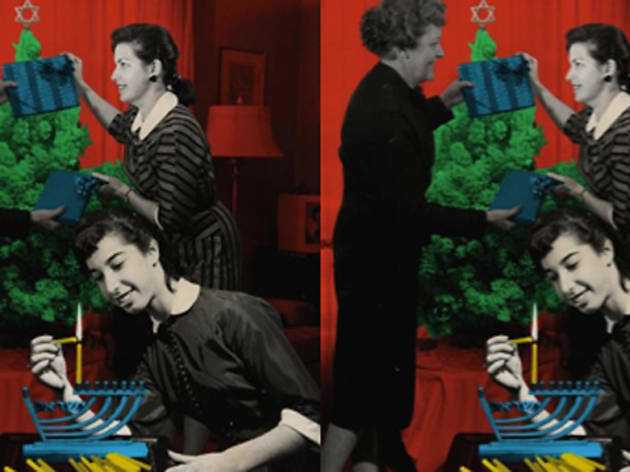 Find out why the commercialization of Christmas led to a competitive campaign to beef up Hanukkah and how this once obscure, minor Jewish holiday grew rapidly in importance. Christmas overwhelmed the American psyche, and for reasons of moneymaking, sentimentality, or a simple love of the music, almost every major Jewish performer cut a Christmas track. The result is an American phenomenon: a category of Christmas music, as sung by Jews, that has become a vital part of the holiday tradition.